Your students will follow a boy and a girl as they run to the bus, to the plane, to school, and finally, back home. 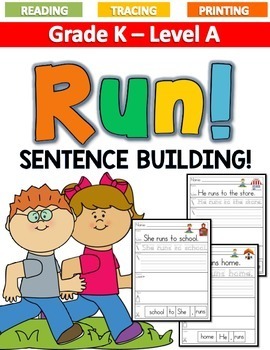 The book continues to reinforce essential high-frequency words in repeated sentence patterns. 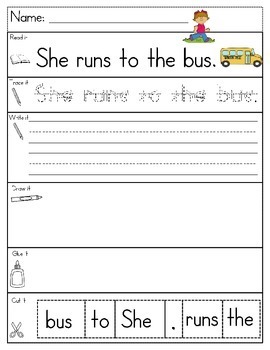 Depending on their needs, have your students start by reading, tracing, or writing. 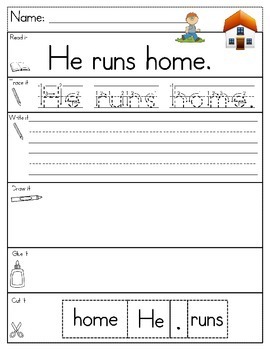 This packet can also be used as morning work, homework, or as a literacy station. 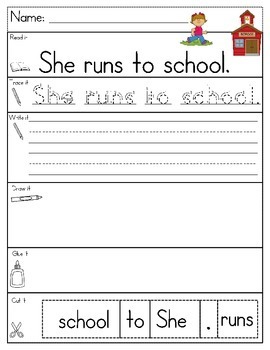 Skills such as reading, printing, sentence structure, punctuation and drawing are covered. Get the entire Sentence Builder Level A BUNDLE here!